My results indicate that I am below the average for the typical score on creativity. Hmph! What is creativity? How is it measured? Can someone who isn’t creative assess creativity? Somehow, the vision of creativity is limited to a crazed crafter who has a propensity with a glue gun, scrap booking paraphernalia, and felt. If someone creates something original, that person is deemed creative-right? Well…not so much. The norm for assessing creativity defeats the relative nature of creativity. Ok-those of you who sat in a classroom, with 25 other kids-doing the same worksheet-for years..raise your hand. Were your original thoughts acknowledged, or were you herded in with the masses? Were you the existentialist who proved your individuality, or were you the group member who laughed at the existentialists? It doesn’t matter what side you relate to. Either way, you developed original thoughts and ideas that tempered your current personality. I wasn’t knocking crafters earlier. It is remarkable what a person can create with a few materials and powerful visualization. 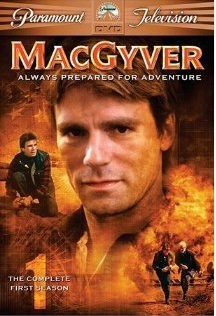 If MacGyver were an elementary school student, would his creativity have been a hindrance? He would probably have been creating eraser cities in his desk with a bobby pins, gum, and toothpicks. He would be the kid reading books on Houdini, while ignoring instruction. I believe he would be considered, “distractable”. I often wonder how many creative kids are overlooked? The fact is that the creative kids are the ones who don’t follow the norm. 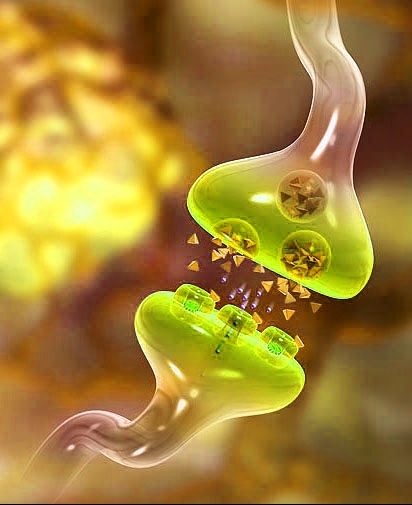 When they are listening to a lesson on compound sentences, their minds wander to non-related connections. No, they aren’t listening and probably don’t know a thing about compound sentences. However, their need to know about the universe leaves no room for the minutia of grammar. I’m not saying that this isn’t frustrating to the teacher, especially with the demands of standardized testing. But, I am beginning to believe that the test prep has stifled the creativity that innately drives educators. Many of the truly creative kids don’t see a point in the need for traditional academia. That is why it is our job (as teachers) to engage these kids so that they can make a place for themselves in the world. This process is exhausting. We work with the delightful high-achievers who will do what they can to succeed. If you look closely into any classroom, you will see the kids spinning the ruler on the pencil, while imagining the propeller on a helicopter. Meanwhile, the rest of the class is distracted by the helicopter. How do teachers handle this? One misconception about creativity is that all those who are creative are often absent-minded and forgetful. This is true for many, however if we broaden our perspective on what this really means, we will open our eyes to the true essence of creativity. Some kids who figure complex algorithms mentally, can create new ways of applying those algorithms. During math instruction, almost daily, I have a child tell me a “new” way to do a problem. How creative! I had a colleague ask me if I thought creativity could be taught. Before I had time to rationalize my answer, I answered-“MOST DEFINITELY”. The argument is that either you have it or you don’t. My thoughts were that many kids and people in general figure they aren’t creative because they can’t draw, play an instrument, or weave magical stories on a moment’s notice. Isn’t evidence of original thinking an indicator of creativity? Maybe it is more accurate to say that someone’s creativity can be found. Yesterday, I asked my class, “Do you think the Sycamore tree in Where the Red Fern Grows symbolizes any idea or theme in the story? The silence, blank stares, and strange answers rippled through the room. I told them their box lids were rapidly closing. Come on out of the box and give me an original thought! Slowly, some reluctant hands appeared. They responded with: strength; perseverance; remorse (since main character was sad to have cut the tree down); faith, love, keeping promises, loyalty, etc… The original thoughts were pouring out of all the kids! I soon understood that no one answered because they were afraid of getting it wrong. As soon as I said that there really couldn’t be a wrong answer (as long as it could be supported) the kids bought in. Did I teach creativity of thought or did the kids find their own? Sounds a bit like the chicken and the egg mystery. Ten years ago, I would have probably stopped and asked another question. I would have felt badly about asking something that was too difficult. I guess I have developed a stubborn streak, because I wasn’t going to give up that easily. Try the creativity test. Do you agree with the results?